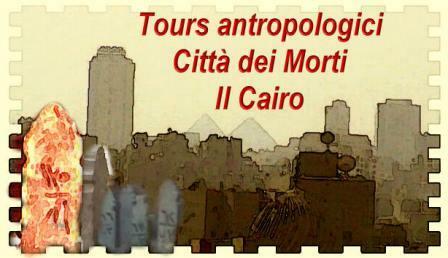 The aim of the guided tours activity in the City of the Dead, the ancient Muslim necropolis in Cairo, is to encourage a sensitivity towards sustainable tourism. Its basic principle is to get the residents involved in this activity. The approach to this historic area is respectful towards inhabitants and their customs. The main attainable target is the cultural heritage upholding and preservation within the frame of a sustainable development. Foreign visitors will be led to see an original side of Cairo: living beside their dead. This large still operating cemetery houses about one million of Egyptians. During the tour the visitors will be encouraged to submerge themselves in the local culture. The tours, organized in small groups, have been selected among several significant itineraries, stressing the importance of social, anthropological, religious and architectural aspects. The anthropologist Anna Tozzi, who herself has been living in the City of the Dead since 1998, while doing field research on funerary rituals, is guiding a team of experts to achieve all these goals, in full respect of the sustainable tourism international chart. The visits are available during two periods, from October to January and from March to June. One week full immersion stages in the local community are available as well.